We’re all very excited for a special Jivamukti Yoga® Immersion at the Omega Institute in Rhinebeck, NY September 4 – September 8. Led by Jivamukti Founders Sharon Gannon and David Life, along with Advanced Certified Teacher Jules Febre, this immersion is an incredible opportunity to study the teachings of Jivamukti Yoga directly from the source. 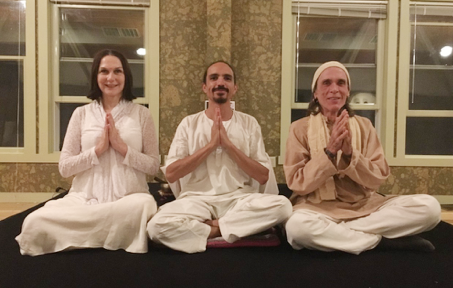 Yoga students and teachers alike will benefit from spending time at the Omega Institute, a long-time venue for Jivamukti Teacher Training programs, workshops and special events. Attendees can attend a special Labor Day Chant session on Monday and a Wednesday evening concert with virtuoso pianist Katya Grineva. An incredible kirtan line-up includes Krishna Das, Jai Uttal and Deva Premal & Miten.